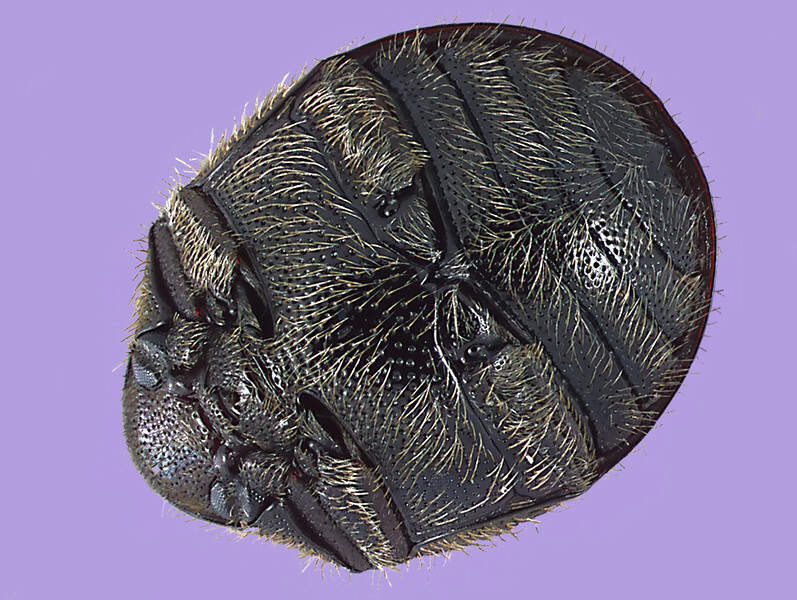 Ventral view of a 2-mm long puffball beetle shown folded up and feigning death to avoid predators. In this position the head is down and all the appendages are held tightly within ridges on the body. All the softer, more vulnerable parts of the body (eg flexible intersclerite membranes) are well protected. Try to locate the eyes, antennae, and all six legs. Most of this beetle's life cycle is spent in puffball fungi that grow among the organic debris that collects on forest floors.